MID-ARGYLL: More Redwing about today in small flocks. A Kingfisher was at the Corran / head of Loch Gilp (David Pearson). No sign of yesterday’s Bonapartes’s Gull there today – 4 Pink-footed Geese and 3 Whoopers flew over (Jim Dickson). 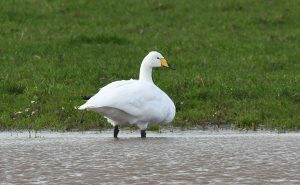 WHOOPER SWAN – The Laggan, Kintyre 21st Oct (Eddie Maguire).